Wang Junwen, former head of state-owned enterprises in Hainan, has returned to the Chinese mainland to surrender himself to the authorities after fleeing to Hong Kong on charges of bribery, according to a statement released Wednesday on the website of the Communist Party of China Central Commission for Discipline Inspection (CCDI). Wang, born in 1951, was former general manager of Hainan Textiles Industry Company Limited and former chairman of Hainan Xingye Polyester Company Limited. He fled to Hong Kong in September 2003. 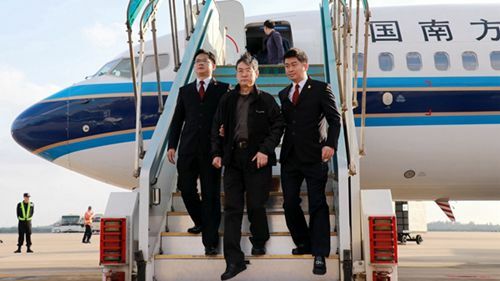 He was also the sixth fugitive to return to China to turn himself in after the office in charge of fugitive repatriation and asset recovery under China's central anti-corruption coordination group publicized clues related to 50 fugitive duty crime and economic crime suspects.